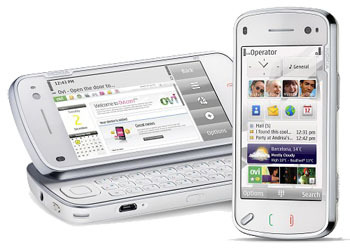 Some sites including play.com are now taking pre-orders on the new Nokia N97. This is one of the phones that I've been waiting to try out for some time. It's pricing between £499 (on play) and £624 (on other sites) which is quite a difference, but this does make it a high-end phone, competing in the price brackets of HTC HD and IPhone mobiles. However it is stuffed with some impressive, and useful technology. I'm going to wait until I can actually play with one in the shops before deciding to actually purchase and I've still got more of the heart set for the Palm Pre at this time.